Ah R2D2. Probably one of the most recognized little robots on the planet. There have to be a hundred different toys of R2 out there, but one of the more impressive is the 30th Anniversary Interactive edition. Complete with all kinds of bells and whistles, it’s about as realistic as they come. 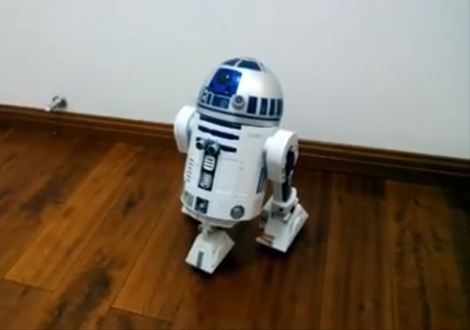 One Star Wars fan found himself in possession of a broken Interactive R2, and with his girlfriend’s birthday coming up, decided to do a little droid surgery to create the ultimate gift. Giving Anakin a run for his money, all the controls for this R2 unit were custom built. A Raspberry Pi running Rasbian acts as the brain. Facial recognition was implemented using OpenCV. Voice commands in either English or Chinese were made possible by PocketSphinx. Some of the other features he included are: message recording and playback, ultrasonic distance detection, motion detection, wifi, and a rechargeable battery. Many of those features were included in the original toy, but since this unit was broken, had to be rebuilt from scratch. In the end, it must have impressed his girlfriend – she’s now his wife. Good work Jedi. Check out some build photos and a video demonstration after the break. If you’re serious about astronomy these days, you want to have a computer controlled telescope. 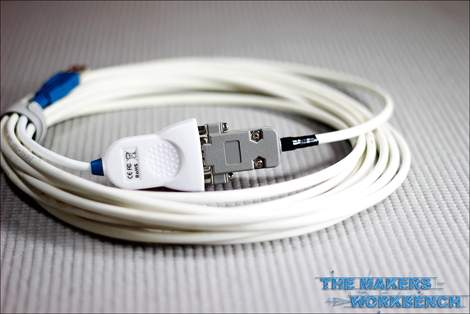 Although you can easily purchase a pre-made cable that connects the two devices, where’s the fun in that? [Charles], being an avid Maker, has created a nice step by step guide so you can build your own. This is a great weekend project, and one that even a novice electronics hobbyist should be able to tackle. It’s straight forward, rather quick, and very easy. Strip some insulation off both ends of the cable, then cut off the unneeded wires. (You’ll only be working with three of them.) Prep everything with heat shrink tubing. Crimp one end of the wires into an RJ10 plug, then solder the other end of the wires into a DB9 connector. Secure the heat shrink tubing in place, attach the housings, and you can call it finished! [Charles] said the whole procedure only took him around 15 minutes. Total cost? Less than $17 in parts. Have an awesome invention that you want to create and sell to the world? Think you have everything all planned out and you’re ready to just let the money flow in? Maybe not. Take a few moments and read [Jonathan]’s first hand experience of a maker start up business that didn’t go anything like he had planned. [Jonathan] thought he was ready. He had created a unique product and, by taking pre-orders, didn’t have to front any of his own capital. He had shown that there was demand for such a device. The big problem…supply. Selling things was the easy part. Actually making them was another story. Every step of the way had complications. Printing errors, parts suppliers backed out, an international money transfer didn’t go through, postage rates increased, suppliers sent the wrong parts, and he and his wife had a baby. His stress levels were through the roof knowing that his customers had prepaid and were waiting through all the delays. In the end, [Jonathan] learned a lot and survived the journey. He is currently working on his next invention. If you’d like to learn more about his experiences, you can message him personally. 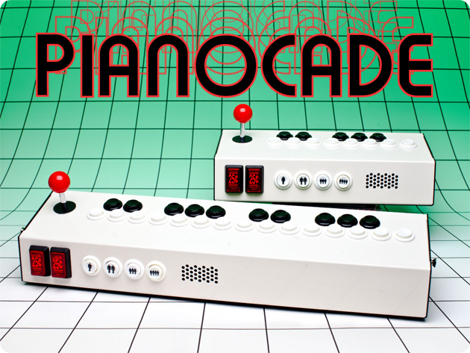 There’s also a Pianocade features video after the break. 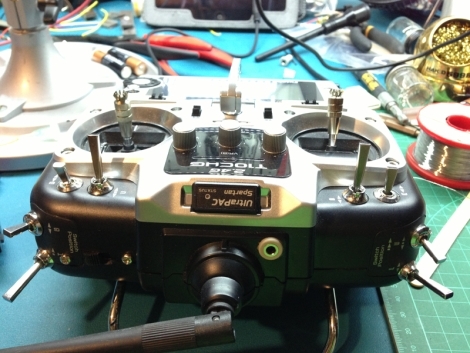 The Futaba 10C radio (non-module version) is [Tom]’s transmitter of choice. Unfortunately, it isn’t compatible with the Spektrum DSM2 technology modules he wanted to use. So, being the crafty guy he is, he decided to hack it so it was. 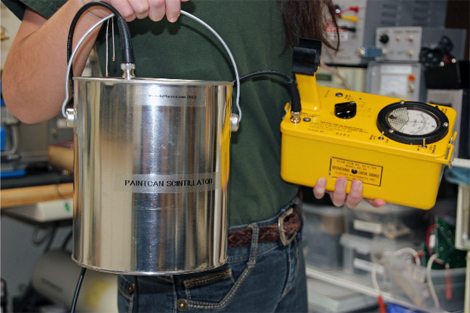 Upon opening the Futaba transmitter, he realized that the non-module version of the 10C didn’t really seem that different than a module version. His transmitter just has a pcb hardwired in place where the modules would otherwise go. He soldered a 4 conductor audio jack to the unused pins on the pcb in the transmitter, then mounted it in the case with some J.B. Weld. He then wired and mounted the receiving jack in the module case. A small 6 inch audio cable bridges the two devices, and velcro holds them neatly together. He discovered that certain modules have problems with the channels being out of order. Unless someone comes up with a firmware hack, there’s no way to remap the controls. So, some modules are just not compatible. [Tom] gives a very nice video walkthrough after the break. Check it out. Here’s an interesting, and rather dangerous, use for those old big screen TVs that are frequently listed for FREE on Craigslist. With the lens from the old TV built into an adjustable wooden frame, [Grant] was able to melt a stack of pennies, instantly burn wood, melt spots in concrete, and serve his family a cooked egg… Cool. [Aimino] used an iPad, a mobile projector, and a mosquito screen to create a trippy hologram like stage. It might not seem like much at first, but it’s actually a pretty interesting effect. Watching the video makes me wonder what other applications this could have in the near future. At a cost of over $14 million dollars and weighing in at 35 tons, the 45 Tesla Hybrid is the strongest DC magnet on Earth. It’s powerful enough that the film crew couldn’t even safely get in to take footage of it. Over half of their camera tapes were wiped clean just while being in the same facility that houses it! Created in the hopes of providing a VR experience for seniors with mobility problems who can no longer travel the world, Tokyo Metropolitan University’s Ikei Laboratory presents the ‘Virtual Body’ exhibition. Included are a 3D monitor, a pair of headphones, a fan to create breezes and spread scents, a chair that moves and vibrates, and moving foot pedals. If you’re an Iron Man fan with disposable income, you might want to check out this functional full metal laser gauntlet. Built from scratch using no blueprints or guides, [AnselmoFanZero] sells them for around $3K USD.